Madurai (Agenzia Fides) - The Tamil Nadu Bishops’ Council has sought change in the poll date for the southern Indian state, scheduled on April 18. The state’s 39 parliamentary and 18 assembly seats will go to poll on April 18, which coincides with Maundy Thursday, an important observance for Christians across denominations. As Fides learns, in view of this coincidence, Archbishop Antony Pappusamy of Madurai and president of the council, requested the Election Commission of India (ECI) to change the polling date. In the letter, sent to Agenzia Fides, it is stated that "Maundy Thursday would not be conducive for the Christians as it is in the middle of the Holy Week observance (April 14 to 21)". The Archbishop said that Christians working as government schoolteachers and officials engaged in election duty would not be able to attend Mass on Maunday Thursday when Christians observe the commemoration of the final meal – Last Supper – that he had with his disciples a day before his crucifixion and death on the cross. The Council of Bishops cited another concern that many schools run by dioceses are located inside the campus of churches and many across the state are polling stations. This will make it inconvenient for people to come to churches and to make arrangements for the religious services: Maundy Thursday and Good Friday. Furthermore, "in most churches - the text reads - the religious services are conducted in the open area, since many people attend the service", notes the Archbishop, and even these outdoor celebrations, in many cases, would be impossible to organize, in conjunction with the conduct of the vote. Given these obstacles, the Council of Bishops requested commission chief to "consider the Christians sentiments" and change the polling date in Tamil Nadu. India has announced dates for national elections that will see nearly 900 million voters cast their vote in nearly one million polling stations. 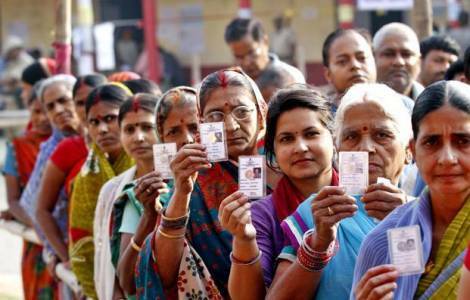 On March 10, the Commissioner at the head of the Commission for elections, Sunil Arora, announced the calendar for the elections, which are held in seven phases, according to the different states of the Federation: April 11, 18, 23, 29 April and then the 6, 12 and 19 May. The vote count will be held on May 23rd.